The Goat classic. A full flavoured English style real ale, it's deep amber in colour, packed to the hilt with malt flavour and topped off with an enticing floral hop aroma. 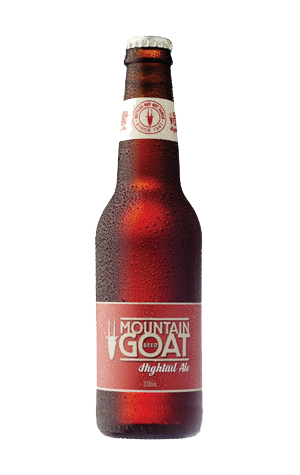 It's the beer that made their name all those years ago and, all these years later, an old reliable whenever you spot the bright red goat head on the taps calling you to the bar. All draught Hightail comes from their Richmond HQ with packaged product now produced offsite at Independent Distillers. From 2015 onwards, after a number of small trials, the brewery's original beer was joined by a Nitro version, available on taps around the country.